The title is a bit misleading. I haven’t read much this past week, after Tuesday. Wednesday morning, my fiancée and I went to Atlanta to spend two and a half days packing the rest of my things (books, bookshelves, bookshelf knick-knacks, writing paper for books, and a few t-shirts… also a bunch of heavy things I sit on whilst reading books) and then we turned around on Saturday and worked for two days in Augusta, including one incredibly busy day of tearing down our family’s roasted nut booth and loading it into a cargo van. (If I haven’t mentioned yet how awesome my fiancée is, here’s a good place to rave about her. I might have been packing with her, but she kept me moving and led the operation, and especially kept me from wanting to reread Every Single Piece of Paper That Had Writing On It.) Plus, I had to complete an assignment for a creative writing course I’m taking through Coursera and Wesleyan University. Plus I’m trying to finish knitting a shawl in time for a wedding. Considering that it’s my wedding, and that I really don’t want my first act as a husband to be my confused explanations of why her wedding shawl still has needles hanging off of it, I’ve slipped that up in my priority list a little. But, I’m a reader and a writer, so unless I’m in the utter throes of depression, I’m going to read a little bit of something, no matter what. 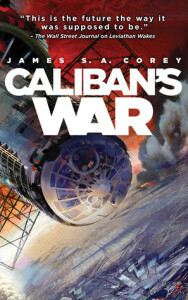 Tuesday morning, I got up early, flipped to I think the 65% mark of Caliban’s War, and decided to read a chapter or three with my mug of tea; always a good way to start any day. About three and a half hours later, I found myself outside on the lawnchair with the cat next to me (apparently, I had moved locations while reading, something I still only have fuzzy memories of) and looking at the extras at the end of the book. Suffice to say, I really enjoyed this one. Whether I liked it more than the first… I don’t know. The first half still felt like a retread, but the characters changed and progressed as the story went on, sometimes even in unexpected ways. Also, something bad I thought was going to happen, didn’t, and that was pleasantly surprising. I already have the third book in my library, but I’m going to have to wait until I get to that. Rating: Also 4 stars. I’d probably rate it a quarter-star less than the first, but I don’t deal in fractions with my reviews. Also, I really like one of the new characters, an older woman, diplomat, who is very practical-minded and believes in looking out for her own in addition to saving the world. I hope she is in the future books in the series. Ah. 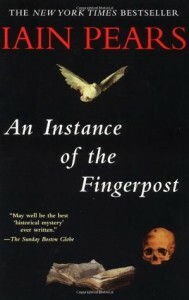 I remember when this book came out, and I was reading Umberto Eco and other historical fantasy works, and put it on my list. Then, I promptly forgot it was on my list. When I found a copy at the campground’s free library (a place I’ve donated some eight books to myself… free libraries are one of the best concepts man has ever thought of, even if you consider the Internet Cat Video) I had to snag it. Unfortunately, I started reading this Wednesday morning when I was on my way to Atlanta (no, I wasn’t driving; it may be a mostly straight drive to the city from here, and yes, it might have crossed my mind) and since then, I’ve only gotten about five chapters in. What I read, though, is amazing. 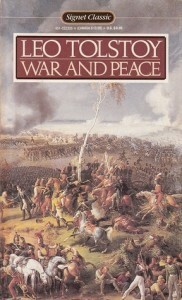 I’m not as familiar with the English Civil War and post-Civil War period as I am with the Wars of the Roses (I have a hunch that Richard III was framed by the Tudors and I require extensive proof before being convinced otherwise) but I know enough to pick up the strong sense of verisimilitude the author has worked into his book. Plus, the Venetian narrator is awesome and the foreshadowing (he’s writing this account years after the events) is painfully dramatic. I will hopefully have a full review next week. The other book I’m reading, I’m actually not reading. 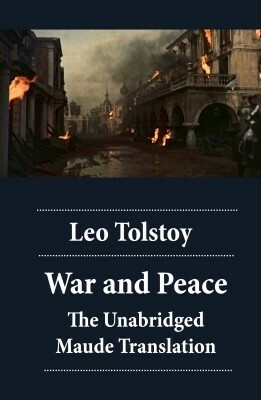 I found a 61-hour audiobook version of War and Peace on Audible, and I’m finally getting to that book after years of rereading his novellas. Audiobooks and knitting, and traveling, were made to go together, and I dare anyone to say that listening to a book is inferior to reading. For one, I often find myself focusing more on the words and sentences when I’m listening to a book, since I can’t flick my eyes back up a paragraph if I let my attention wander. And for another, story time is awesome. Audiobooks are adult story time. There is no down side to that concept. Coming soon: posts for Wednesday and Friday, and maybe some more news on my writing. Stay sane-ish, everyone.